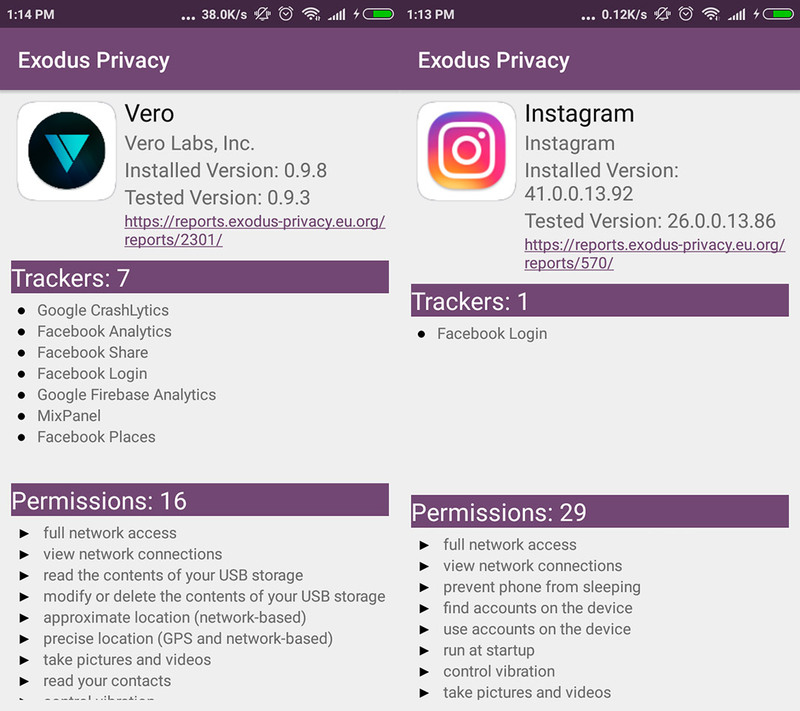 Exodus Privacy is a completely free app that shows you the permissions and trackers used by the apps you have installed. Nowadays, users are becoming increasingly worried about what type of information apps are collecting from their smartphones. The recent study about free apps for kids doesn’t exactly help to quell our fears, but actually quite the opposite. It never hurts to have as much control as possible over what your apps know and Exodus Privacy is the perfect tool to help you with this. It’s an app that easily shows you the permissions granted and the trackers of each app you have installed. The name Exodus may sound familiar, given that it’s a French non-profit organization that’s dedicated to fighting for user privacy. To do this, it analyzes and stores the data from tons of apps as we can see here. Specifically, it analyzes the code of the trackers without needing to decompile it and the traffic of the DNS, UDP, HTTP, and HTTPS to discover where the information goes that’s collected from the apps. 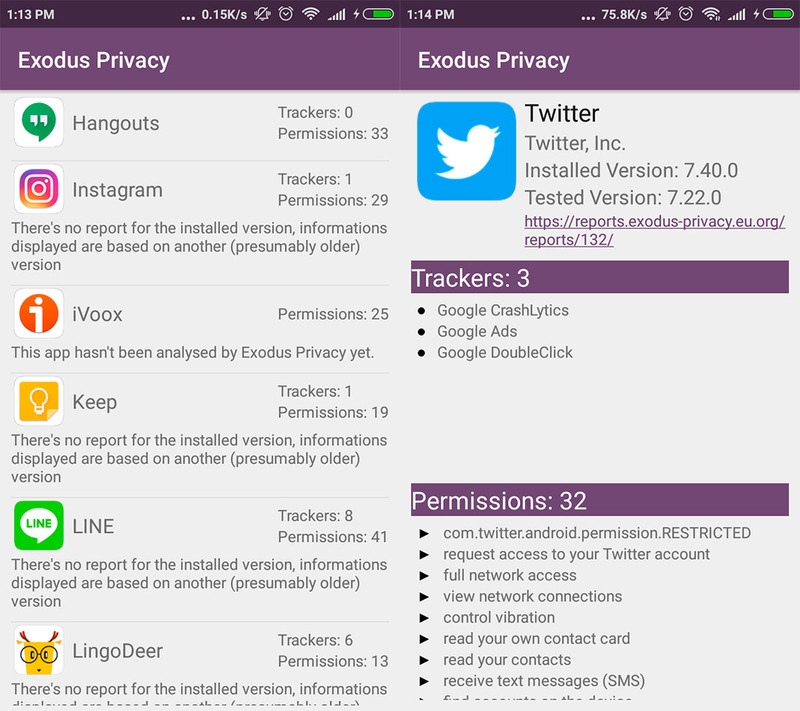 Its app, Exodus Privacy, works to compile this information and also shows details about the other apps on your smartphone. Exodus Privacy couldn’t be easier to use. After installing it on your device, you just have to wait a few seconds for it to compile a list of all the apps you have installed and to be able to see the information about each one. When you tap on the name of an app, a new screen will appear where you see the permissions and trackers. If you tap on any of these permissions, you’ll get a brief explanation about what they do. That’s about all you can do with the app, but you can always go to the website to find out more details about the apps it has in its database. 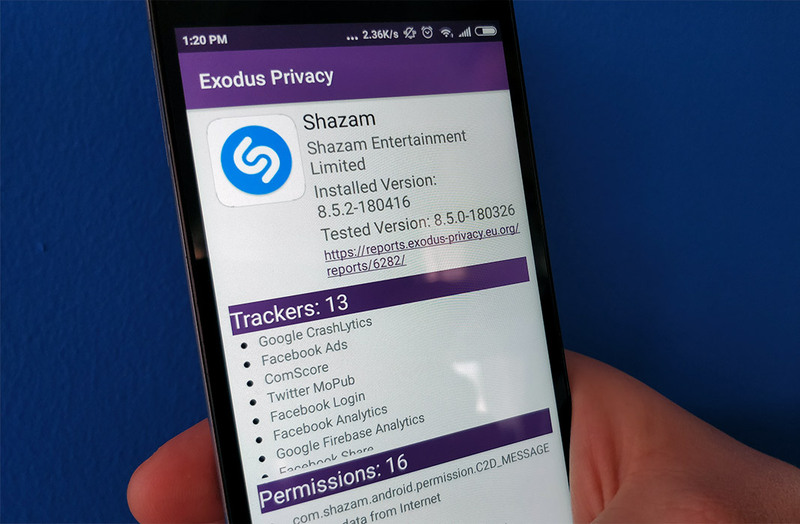 Exodus Privacy is an incredibly easy-to-use tool that can help by giving you more control over what permissions you give the apps on your devices. Another way to ensure the safety of apps you install is to use our official app, since we reject any apps detected as dangerous thanks to the analyses by Virustotal.